Designed with the never-slow-down, everyday user in mind, Brunton Heavy Metal 5500 has sleek, urban aesthetics. Robust, lightweight and always there when you need it, the Heavy Metal 5500 is perfect for the truly power hungry. High-grade Lithium polymer cells charge faster and last longer; no memory and minimal discharge; 1000 cycles at 80percent capacity. Charge time: USB - 6 hours, AC/USB - 6 hours, SOLARIS 4 USB - 7 to 8 hours. 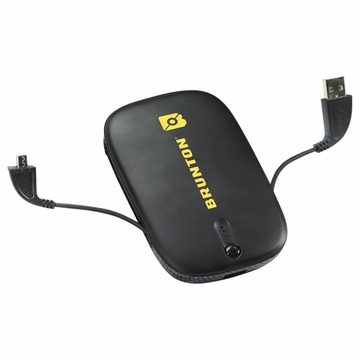 Power Storage Capacity: 5500 mAh, Output: USB and MicroUSB, Power Output: 2.1 AMP and 1 AMP.